This is a remote waterfall which has been photographed many times. 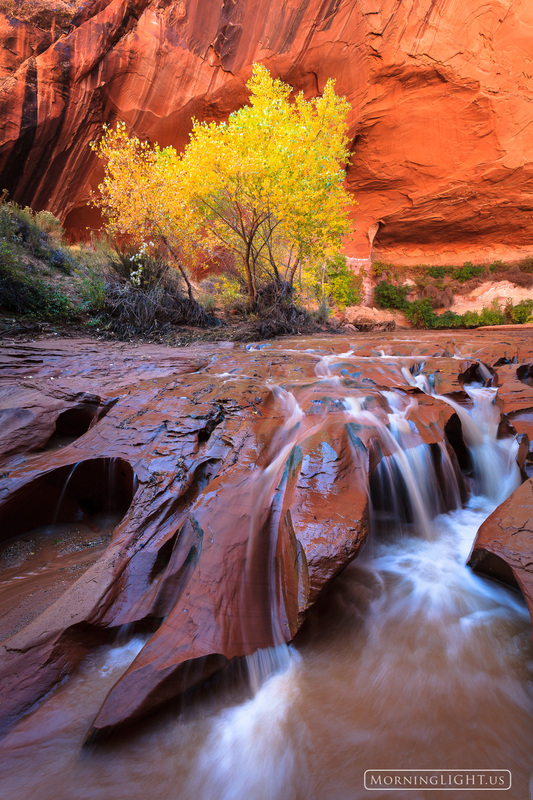 The red rock next to the white water, yellow cottonwood tree and orange sandstone wall create this wonderful feast of color for the eyes while the lines are just perfect. This was a special spot and I spent about an hour here enjoying the beauty while eating lunch. Photo © copyright by Erik Stensland.